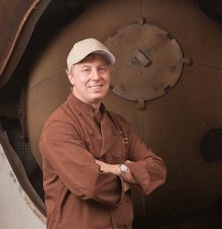 Art Pollard is co-owner, cofounder, and president of Amano Artisan Chocolate, an international award-winning chocolate company that supplies artisan chocolate to retailers and chefs. Pollard and Clark Goble met as students at Brigham Young University. They both graduated from BYU and together they formed Lextek International, a software company whose products are in use on many home and business computers. They then diversified with a shared goal to make one of the world’s finest chocolates. Pollard dug into books and educated himself on the history, techniques, and machinery of making chocolate. He created some equipment and set up shop in his garage. He traveled to Europe where he learned the craft from masters. He also acquainted himself with the cocoa bean growers in Mexico. The company was founded in 2006 in Orem, Utah, with several pieces of European equipment and some that they manufactured to create the best quality chocolate. Pollard and Goble buy beans from Central and South America as well as Africa and Oceania. They buy vanilla in Tahiti. The company has been awarded dozens of first place awards in national and international competitions. In January 2016, the New York Times selected Amano Artisan Chocolate as the best chocolate in America. Pollard is a member of The Church of Jesus Christ of Latter-day Saints. He served a mission to South Carolina. He and his wife are the parents of two sons. This page was last edited on 26 April 2016, at 22:28.